Side By Side: Were The Gibbs Penalties Too Harsh? August 20, 2008 Bryan Davis Keith, Mike Neff, Side by Side, Xfinity Comments Off on Side By Side: Were The Gibbs Penalties Too Harsh? *Today's Question: Following Saturday's Nationwide Series event, Joe Gibbs Racing was accused of tampering with their race cars during post-race inspection. By placing magnets underneath the accelerator pedals, JGR hoped to reduce the amount of horsepower NASCAR would read off their chassis dyno as they researched whether more rules changes were needed to equalize horsepower between manufacturers. * *The sport's reaction to this transgression was swift -- and it was severe. Crew chiefs Jason Ratcliff and Dave Rogers have been indefinitely suspended, along with five other crew members accused of participating in the project. Both the No. 18 and No. 20 cars lost 150 championship car owner points, and drivers Joey Logano and Tony Stewart lost 150 driver points as a result of the incident. * *It was one of the harshest penalties handed down by the sport this decade; but were those penalties far too much for a scenario that didn't occur until after the race? Or did NASCAR let JGR get off easy for a deliberate violation that -- if left undetected -- could have kept the sport from permanently changing the rules to level the playing field? * Bryan: Throughout the 2008 Nationwide Series season, Joe Gibbs Racing has made it look so simple. But just as they have made competing in the series look easy, NASCAR let JGR off easy on Wednesday when they announced penalties for the most blatant episode of cheating seen in NASCAR this season. At first glance, the penalties laid down by the sport seem harsh enough. You've got points deductions ... heavy fines... and indefinite suspensions of crew chiefs and other key race personnel. But upon further review, this punishment does not come close to fitting the crime. Mike: Of course, NASCAR has to rule the sport with an iron fist, and their implementation of penalties will certainly determine how seriously teams look at cheating. 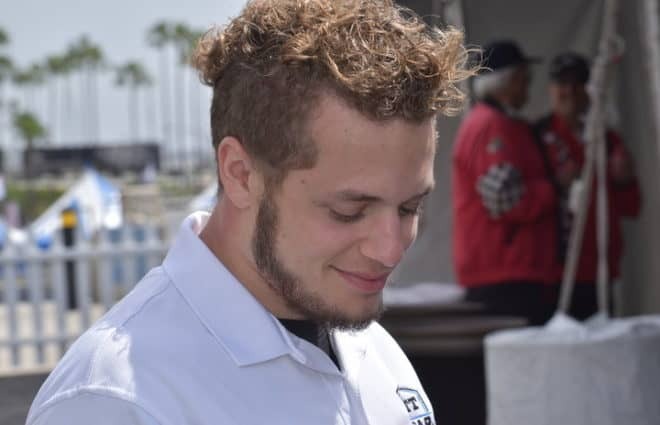 However, handing down suspensions that are open ended for activities that relate to teams trying to gain an advantage with their race cars is simply unreasonable. Well, the 2009 schedule is up, and with the date shifting that was done attendance may well go up for some races -- but numerous other issues were left unresolved. The Labor Day weekend race is still not back at Darlington -- though I’ll admit having that race at Atlanta instead of Fontana is a significant improvement both in terms of location and of on-track product (assuming Goodyear does its job). Fontana still has two race dates (too many), and the Chase for the Cup still does not have a road course in its 10 races. But most disappointing of all -- at least for me -- the Cup Series will tackle no new venues in 2009. Like so many other NASCAR writers out there, whenever the news starts talking schedule I start fantasizing about tracks I’d love to see the Sprint Cup Series tackle -- so this week, I offer up five tracks I really wish the Cup Series would visit. Attendance, facility, practicality, etc., are of no concern here. *In a Nutshell:* Last week at the Glen, Brad Keselowski served Clint Bowyer notice that he was in for a battle for the Nationwide Series title. This weekend, Carl Edwards joined the dogfight. After scoring the pole Saturday morning, Edwards dominated the Nationwide Series race at Michigan, leading 71 of 125 laps to convincingly score his third victory of the season in this series over Brian Vickers and Tony Stewart. Edwards’ win marked the first Nationwide Series victory for Roush Fenway Racing at MIS since Jeff Burton in 1998. And besides his usual backflip, Edwards also made a classy move following the event: giving his trophy to the race’s grand marshal, Make-a-Wish kid Eric Wright. Side By Side: Is NASCAR Doing Enough For Diversity? August 13, 2008 Bryan Davis Keith, Side by Side Comments Off on Side By Side: Is NASCAR Doing Enough For Diversity? _Today's Question : Are the new accounts of racial and gender discrimination that have surfaced proof NASCAR needs to take action? Or is NASCAR doing all it can as far as the issue of diversity is concerned?_ *NASCAR Is Lagging When It Comes To Diversity* _Doug Turnbull_ Boom! The last time the Sprint Cup Series raced in the Motor City, news of former Nationwide Series official Mauricia Grant, a black female, and her $225 million discrimination lawsuit against NASCAR, was the talk of garage. So serious and grave were the accusations in the suit that not only did two Nationwide Series officials named in the suit get sent home on suspension, but Brian France decided to meet with the media to address the issue. 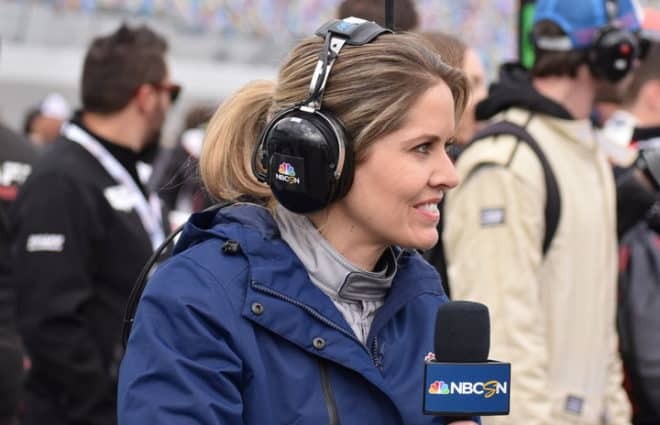 *NASCAR’s Diversity Efforts More Than Adequate, Reported* _Bryan Davis Keith_ In a recent interview on ESPN's _Outside the Lines_, Antonio Morrison, a crew member on the No. 59 Nationwide Series team, concluded that NASCAR will always be a “good ole boy sport.” Mr. Morrison, how you can work in the NASCAR garage and in the racing industry in general and make that statement honestly blows my mind. *In a Nutshell:* Unlike last weekend at Montreal, Marcos Ambrose did not have the best car in the field. But unlike last weekend, Ambrose capitalized during Saturday's race at Watkins Glen, scoring his first career NASCAR victory with a win in the Zippo 200. Ambrose ran in the third position for most of the event’s second half, stalking a furious battle between Jimmie Johnson and Jeff Burton that saw both Cup stars forced to pit with less than ten laps to go for fuel. Ambrose then cruised to an easy win, which also catapulted his No. 59 into the Top 10 in Nationwide Series points. Kyle Busch scored a strong runner-up finish for D’Hondt Motorsports in the team’s first Nationwide Series race of the season, with Matt Kenseth, Kevin Harvick and polesitter Dario Franchitti rounding out the Top 5. The general consensus has been that the newly developed Iowa Speedway, a state of the art 0.875 mile oval that is already hosting IndyCar and ARCA Re/Max Series races, will take the date. Advocates of the Iowa track picking up the date have a strong case to make. The track has already proven able to produce excellent stock car racing, as seen in the track’s ARCA race in April and last season’s thrilling NASCAR regional series race. The facility is new and fit with loads of RV spaces, suites, and a corporate hospitality village. It’s capable of quick expansion to 40,000 seats. But Iowa Speedway is not the track that should find itself back on the Nationwide Series schedule for 2009. *In a Nutshell:* The NAPA 200 didn’t really start until Lap 8, when rains descended on the Circuit Gilles Villeneuve. But rather than postponing the event, NASCAR red-flagged the field and allowed teams to change their cars over to a rain package, putting on grooved tires and installing windshield wipers, brake lights, and defoggers. From there, it became a learning experience for most in the field, and the road ringers moved to the front -- with Marcos Ambrose putting on a clinic in wet-course driving. Ambrose led 27 consecutive laps and built an eight second lead over Max Papis, maintaining the lead even after slipping off course under green. Pit lane, however, snakebit Ambrose and the No. 59. Ambrose nearly spun in the pits while leading, and then received a speeding penalty to boot. That handed the lead to Ron Fellows, who had short-pitted earlier in the event, allowing the native Canadian to lead until the race was finally red-flagged for heavy rain and a lack of visibility. For Fellows, it was his fourth career Nationwide Series win, and the first at any level for him on the Montreal road course named after his racing hero Gilles Villeneuve. Fellow road-ringers Patrick Carpentier and Boris Said scored Top 5 finishes. 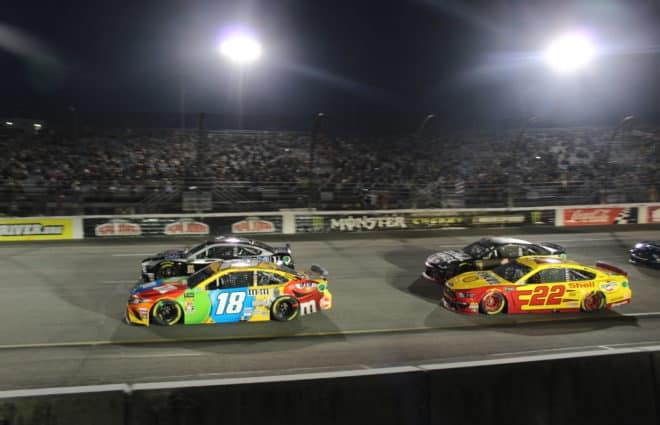 *In a Nutshell:* On paper, Saturday night’s race was not much of an event, with Kyle Busch leading a record 197 of the 200 laps run to win the Kroger 200 at O’Reilly Raceway Park. The win marked Busch’s sixth Nationwide Series victory of the season and the 14th of the year for Joe Gibbs Racing through 22 events. However, minus the dominance of Busch’s No. 18, the event at ORP produced fantastic racing throughout the field, and allowed a large crop of development drivers to shine -- with Colin Braun, Josh Wise and Cale Gale all posting career best finishes. The newsworthy rule change that NASCAR made to Toyota’s engines did not keep Kyle Busch out of Victory Lane, but it definitely seemed to curb Toyota’s performance as a whole. Joey Logano and the No. 20 struggled more than any other race they’ve entered all season, and no Toyota not fielded by JGR finished inside the Top 15. The true effect of the rule change may not be seen until the Series returns to a longer oval at Michigan, but Saturday night did mark some progress for parity. 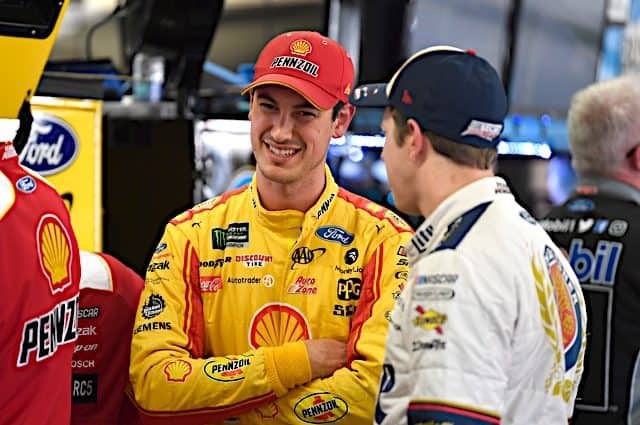 *In a Nutshell*: With the Sprint Cup Series taking the weekend off, many Cup stars took the opportunity to return to their old stomping grounds -- and the Nationwide Series race at Gateway International Raceway was no exception. Midwest drivers Jamie McMurray and Clint Bowyer had strong runs; but in the end, it was Carl Edwards who scored the victory, his second win in only five starts under new crew chief Drew Blickensderfer. Edwards and his trademark backflip received a raucous ovation from what he called a hometown crowd, taking his second win at Gateway in his last three starts at the track.